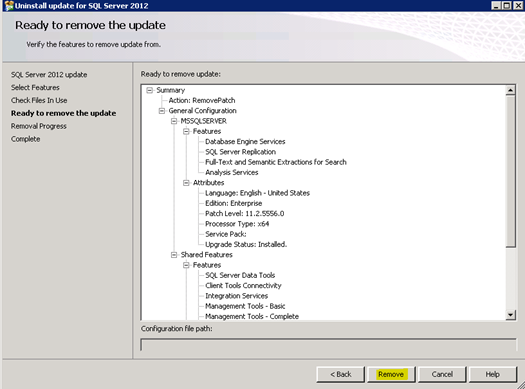 As a follow-up to the post, how to install a service pack for a SQL Server cluster, it is important to have the ability to roll back an update. Fortunately, Microsoft has made this process fairly easy. 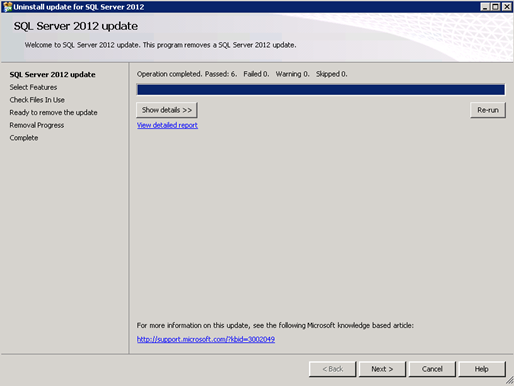 The following process was followed to remove SQL Server 2012 SP2 CU3 from a two node cluster. The identical procedure would be used to remove a SQL Server Service Pack. Failover Active Node to passive node. 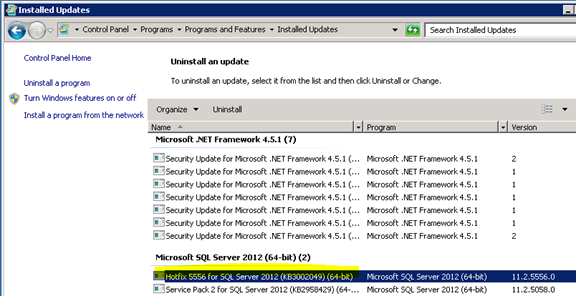 Repeat Uninstall update for SQL Server 2012 process on now passive node. 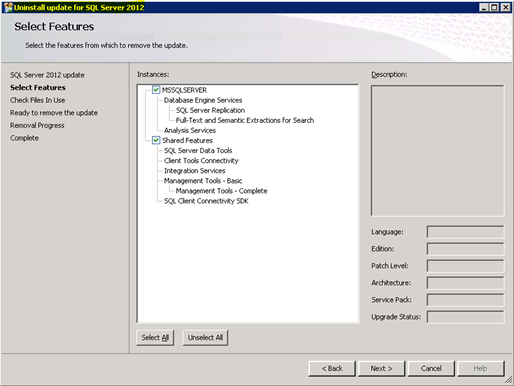 To remove the SQL Server 2012 SP2, use Control Panel, Uninstall Programs, show updates, then select and right click the Service Pack 2 and Uninstall. The remainder of the uninstall process is exactly the same technique as removing the CU update.